GC 5.0″ SEMI HEMI 650 C.I. These aluminum competition quality street/strip assemblies are dyno certified and run on pump gas with no knock. 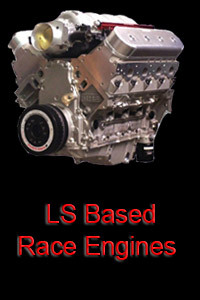 Starting with a professional quality RHS aluminium block and custom CNC ported heads, this engine is fitted with the highest quality race parts available. This engine is totally complete, from the oil pan to the CNC ported throttle body. Engine comes with standard limited warranty.